Microsoft's Dynamics ERP and CRM product lines seemed safe immediately following former CEO Steve Ballmer's sweeping reorganization of the company last year. But now that longtime Microsoft executive Satya Nadella has been named Ballmer's successor, the time is ripe for more focused speculation on the future of Dynamics. Here's a look at what could be in store. He knows Dynamics well: Nadella served a stint in the Dynamics business from 2001-2007, so he has an intimate knowledge of the ERP applications and their user bases, as well as Dynamics CRM, which has made strides against the likes of Salesforce.com, thanks to factors including aggressive pricing and the option of cloud or on-premises deployments. "It's not as if he's going to take a lot of time to come up to speed," said analyst Frank Scavo, managing partner of IT consulting firm Strativa. 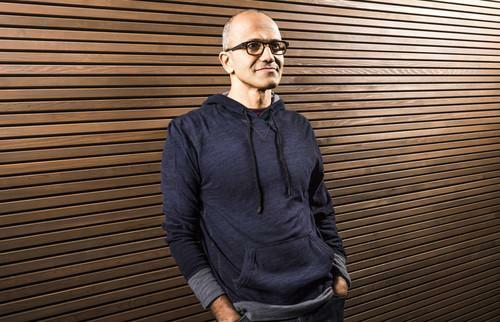 "I think Dynamics increases in stature at Microsoft under Nadella." Nadella played a "fairly prominent role" at a Microsoft analyst event Scavo attended several months ago, taking part in a lengthy session that primarily focused on Dynamics and Microsoft's Azure cloud service, which Nadella oversaw before taking the CEO job, Scavo added. Meanwhile, Nadella has said that to be a leader in enterprise cloud computing, a vendor must have "best-in-class first-party SaaS applications," running on its own cloud infrastructure. All in all, Nadella will likely be a strong advocate for Dynamics as he settles into the CEO slot. "We are very happy about Satya's appointment as CEO," a spokesperson for Dynamics said via email Thursday. "Microsoft Dynamics is on a strong growth path and is seeing great traction market. We are innovating at a rapid pace and are excited about what we plan to deliver to our customers in the upcoming months." Customer enthusiasm: Customers are happy too. "We're extremely excited about it," said Frank Vukovits, co-founder and director of programming for the Dynamics AX User Group, regarding Nadella's appointment. In fact, Nadella spoke at the group's first summit meeting in 2005, Vukovits said. "He has always been a big supporter of the community and sees a lot of value in users and customers getting together and sharing their knowledge to allow them to do more with the product." Nadella understands business applications and the needs of users that work with them, Vukovits added. "What would have made me nervous is if they brought someone in with a history focused just on sales and licensing, the volume side of the business, versus the need to truly embrace the business customer," he said. Eyes on the enterprise: In order to substantially grow the Dynamics business, Microsoft will have to go after ERP deals with large enterprises. To that end, it's been building out its global services capabilities, even though traditionally Dynamics has mostly been sold through partners around the world, who tweak the software for customers' needs. Many have also built out industry-specific functionality for Dynamics. "Customers at the larger end of the spectrum want some direct Microsoft involvement," Scavo said. But on the product front, Microsoft will have to fill out Dynamics' functionality for HCM (human capital management), SCM (supply chain management) and other areas, he added. The faster they do so, the more easily they can beat out the likes of Oracle and SAP in enterprise deals. Shopping trips: Nadella's arrival could see Microsoft make additional acquisitions for Dynamics, said China Martens, an independent analyst covering the enterprise applications market. Dynamics CRM has benefited from the purchases of MarketingPilot, NetBreeze and Parature, but it's an open question whether Microsoft will make more deals, both for CRM and ERP. Multibillion dollar acquisitions to build out Dynamics ERP seem less likely given Microsoft's propensity to pick up functionality built by partners that is already integrated with a Dynamics application. One example of this came last year, when Microsoft bought some supply-chain modules from Blue Horseshoe. But a "more substantial investment," particularly in HCM, may not be off the table, according to Martens. Available vendors in this area include Ultimate Software and Cornerstone on Demand. Getting crowded in the cloud: Microsoft has made some steps to put the Dynamics ERP products on Azure, but it's not clear when all four applications will be available for deployments there. It needs to move faster, because cloud-based competing offerings such as Plex Systems and NetSuite won't wait, according to Scavo. "Eventually these cloud players are going to have more fully functional manufacturing which right now is Dynamics' bread and butter," he said. "They have a little bit of time but that window is closing." Microsoft could make other moves as well, such as a tightly integrated suite composed of Dynamics AX and Dynamics CRM Online, Martens said. This could give it an additional edge over Salesforce.com, since the latter relies on partners for ERP applications. "Another issue is how to deal with ERP rivals' focus on further verticalizing their apps," Martens added. "It's a tricky path for Microsoft as it aims to offer customers some of its own industry specificity in financial services, manufacturing, professional services, public sector, and retail while not venturing too deep into its Dynamics partners' vertical turf." One Microsoft: Nadella has inherited former CEO Steve Ballmer's "One Microsoft" strategy, which was rolled out last year. The plan's goal is to get Microsoft's many disparate divisions and products working together as a more cohesive whole, down to the engineering level. There was already a stated intent from Microsoft to integrate Dynamics with products such as Yammer and Skype, but much more could be possible if the One Microsoft plan comes to fruition. With Nadella on board, hopefully Dynamics will have more consideration during the planning process for new products that could be beneficial to it, "versus later on when the product's fully baked," Vukovits said.